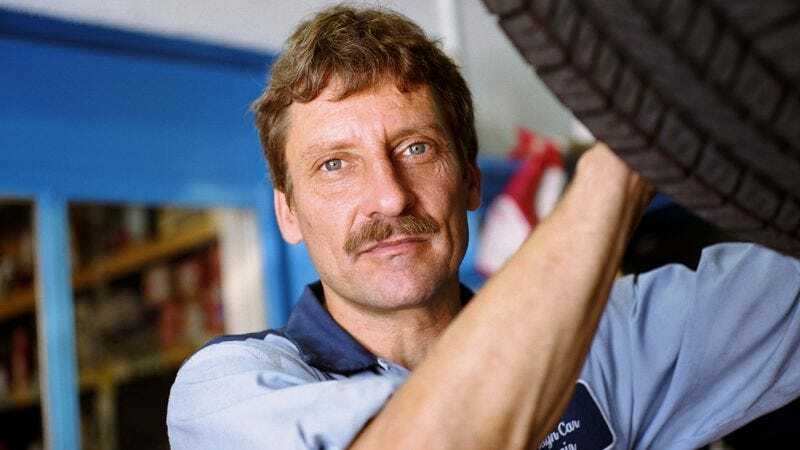 HORNELL, NY—The identity of the mysterious gentleman whose amorous attentions have of late been accorded to local lady Kelly Gabbert was at last revealed as Mr. Kyle Bemis, a jocund bachelor of some repute who close acquaintances confirmed is, at present, under the employ of the Jiffy Lube enterprise. “Being as he is an eligible man possessed of a reasonably noble bearing, the eager pursuer oft calls upon the young lady at home after settling the duties of said oil station office,” said a confidant of Ms. Gabbert, noting that Mr. Bemis may even take a turn about the local Stop ’N Shop parking lot in hopes, perchance, that he might woo the fair maiden of Steuben County whilst on her cigarette break. “Neighbors have on great occasion observed the fashionable young man ferrying the lady about town in his 600-horsepower Ford Mustang or escorting her to lavish dinner engagements at the most opulent of wing bars, whereupon he customarily sends for a platter of barbecue chicken and spicy-sweet sauce.” At press time, sources reported the winsome paramour had beckoned his beloved to the driveway with three honks of the car horn.